Pour couscous into a bowl and add an equal amount of boiling water and leave to cook. While this is cooking drain your tuna and sweetcorn and mix it in to the mayo. 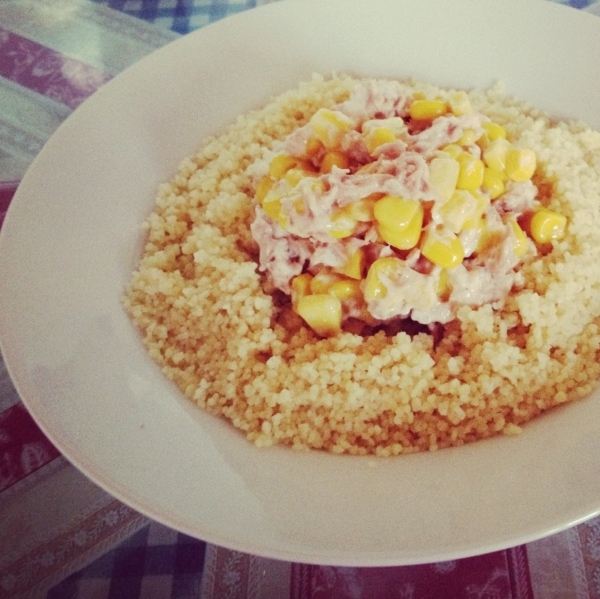 When there is no water left in the cous cous add the tuna sweetcorn mix on the top and eat.